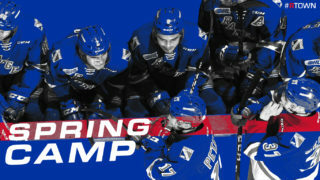 Guelph, ON: For the second year in a row, the Rangers (5) and Storm (4) began their Western Conference Quarter-Finals against one another. Guelph had 10 different scorers on Friday night in what ended up being a 4-2 victory for the home team to take a 1-0 series lead. Greg Meireles and Cole Cameron both scored for the Rangers and Justin MacPherson picked up third-star honours with two assists. Luke Richardson stopped 29 in the loss. The game’s first infraction came to the Rangers when Reid Valade took a hooking penalty at 5:12. On the powerplay, a Dmitri Samorukov shot from the point was deflected by Nate Schnarr past Luke Richardson to give the Storm the early lead, 1-0, at 5:33. The Storm kept the pressure on and it paid off towards the end of the period. A mess in front of the net led to Zachary Roberts sliding a puck past Richardson, who was on his back, at 16:24 to make it 2-0. The Rangers were outshot through the first 20 minutes of play, 19-3. Guelph extended their lead at 5:36 of the second period when Alexey Toropchenko deked around a Rangers defender and backhanded the puck past the outstretched pad of Richardson to make it 3-0. 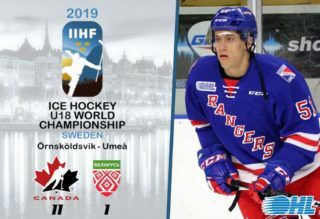 Despite getting their first powerplay of the game midway through the period, the Rangers OHL-leading powerplay couldn’t capitalize on the man-advantage. The second period would end with the Storm still up in shots, leading 24-11. At exactly one minute of the third period, the Rangers finally got on the scoreboard. Justin MacPherson, on an odd-man break with Greg Meireles, passed cross-ice and the Rangers leading point scorer during the regular season tapped the puck into a wide-open net to make it 3-1. 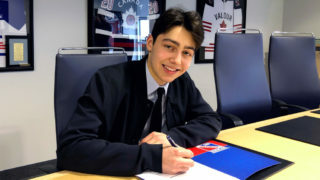 Joseph Garreffa also assisted on Kitchener’s first goal of the postseason. With 8:33 left in the third period, after a flurry of chances, Cole Cameron scored his first goal of the entire season on a wraparound that beat Anthony Popovich to bring the Rangers within one, 3-2. MacPherson and Riley Damiani earned assists on the goal. With 1:10 left in the game and Richardson pulled from his goal, Mackenzie Entwistle scored to put the Storm up 4-2 and that would be the game’s final score. Click here for the game summary. 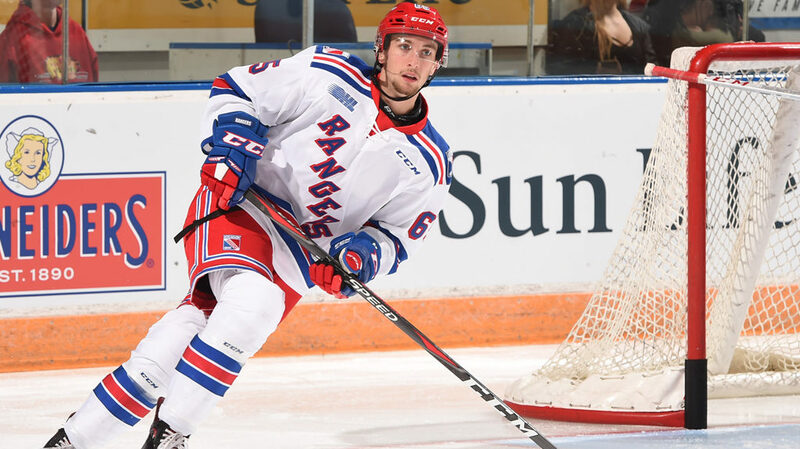 The Rangers return to playoff action on Sunday, March 24 for game 2 in Guelph at 2:00 pm. They return home on Tuesday, March 26 for game 3 of the Western Conference Quarter-Final at 7:00 pm. Click here for a complete schedule of games. 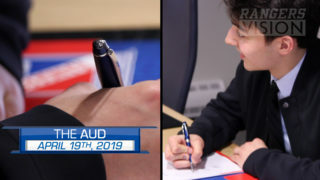 Join the Rangers at The Aud! Tickets available for purchase in person at the Activa Box Office at The Aud, Centre in the Square Box Office, by phone (519) 578-1570 or 1-800-265-8977, or online.